#9. ​Yeh nazro.n se ada kiye​ -Andaaz e Bayaan – I'm Here; Right Here. Thanks a lot for reading and responding with such a warm regards. I’m delighted. There are a lot more of these on my blog. 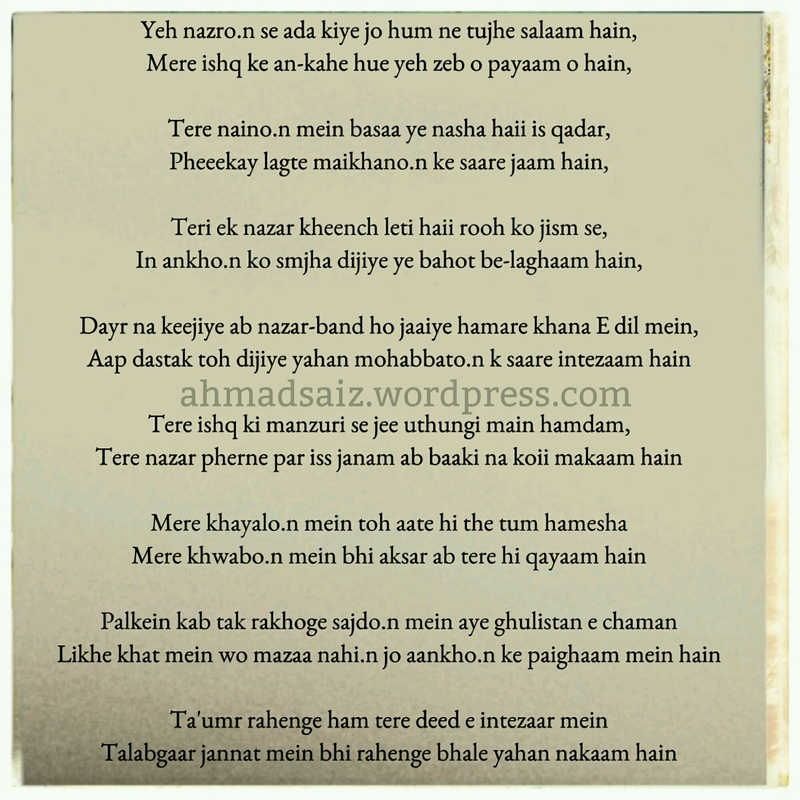 You’re gonna be a fan of my Urdu Poetry after you read more of ’em. I loved your blogs and let me tell you I am already your fan, dear. Your works are beautiful and inspiring! Happy blogging! Best wishes!